What Were Superheroes Doing in an Investment Conference? Last May 16, the Chartered Financial Analyst (CFA) Society of the Philippines hosted the Philippine Retail Investment Conference at the SMX Taguig Convention Center. Notice that Superman is in the background in this picture. What were superheroes (there were more of them) doing there? Did this imply that an investor has to have superpowers now to make money in the market? Did this insinuate that the finance industry now operates in an alternate reality? 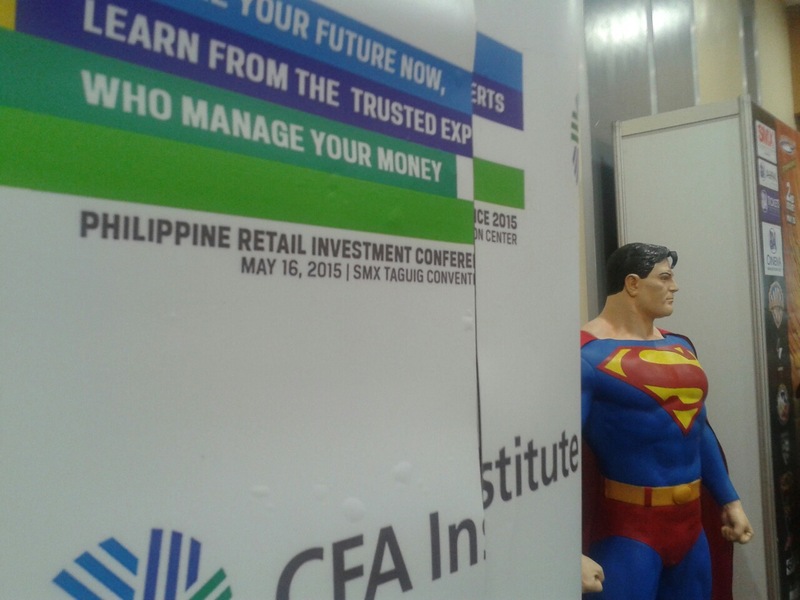 What was Superman – his statue, at least – doing in an investment conference? What was the connection of superheroes to the investment conference? None. The convention hall next door was hosting the NexCon. According to NexCon’s Facebook page, it is “The ultimate celebration of science fiction and fantasy in the Philippines!” Although many “Occupy Wall Street” followers will probably ascribe the same slogan to the current financial industry. Look there’s Superman Again! 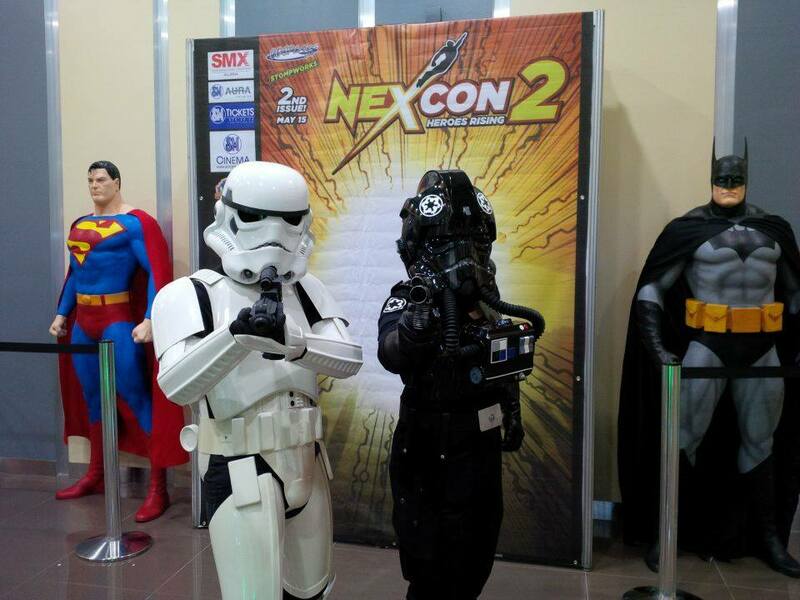 NexCon at SMX Taguig, also with Batman and a Storm Trooper (I have no idea who the other character is). Image from NexCon Facebook page. Many think that finance (and the people in it) are boring (I don’t, by the way). The presence of cosplayers in the convention hall lobby made the investment conference quite interesting. I actually took more pictures of the cosplayers than the investment related activities. Fact: Cosplay is more photogenic than finance. The ticket for NexCon was actually a lot cheaper, at PHP 250 for the whole 2 days. The ticket for the Philippine Retail Investment Conference (PRIC) was PHP 2,500 for just one day. That’s finance for you! You have to spend money to earn money! The investment conference had the tagline “Secure Your Future Now…”. I can imagine a superhero actually saying this. 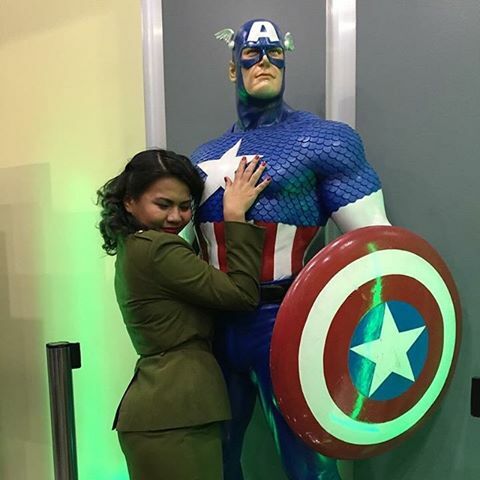 “Peggy Carter” embraces Captain America. Even in finance, it is still all about Captain America. Image from NexCon Facebook page. 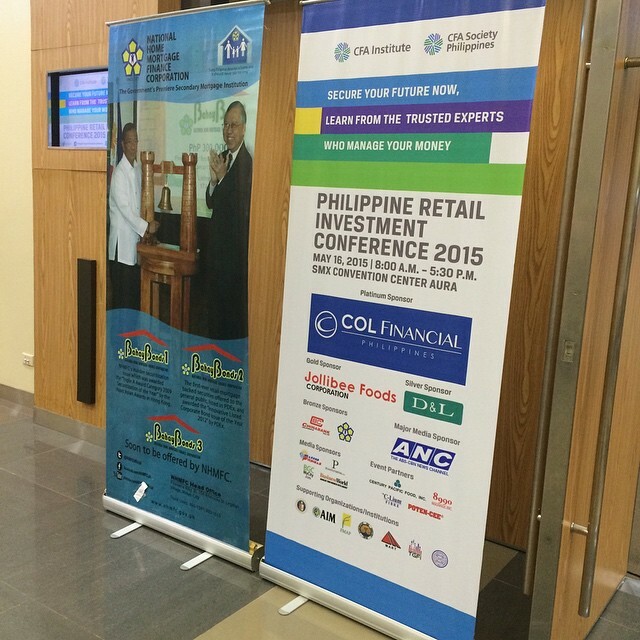 I’ll be posting more about the Philippine Retail Investment Conference 2015. Learn more about the CFA Society Philippines here. I’m sure the participants at NexCon enjoyed themselves. We who participated in PRIC 2015 enjoyed ourselves as well, and we didn’t have to wear costumes. I would have worn one though if we were required to. I think you paid too much for the investment conference. Many COL clients were able to get in for free. For PHP 2500, I was expecting free coffee at least :). Interestingly, there was a free can of tuna in the conference kit.